Acrylic/nylon. 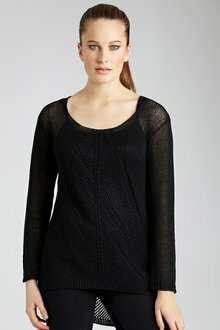 Scoop neck with open knit detail and dropped hem. Full length sleeves. Detachable camisole with adjustable straps.